The Synergy range of Ambient displays are designed to be complement the heated and refrigerated modules. The displays are self-contained and easily installed. They are constructed using satin finish stainless steel surrounds, bright polished gantries and toughened glass sneeze screens. Top: Stainless Steel, Exterior: Stainless Steel. 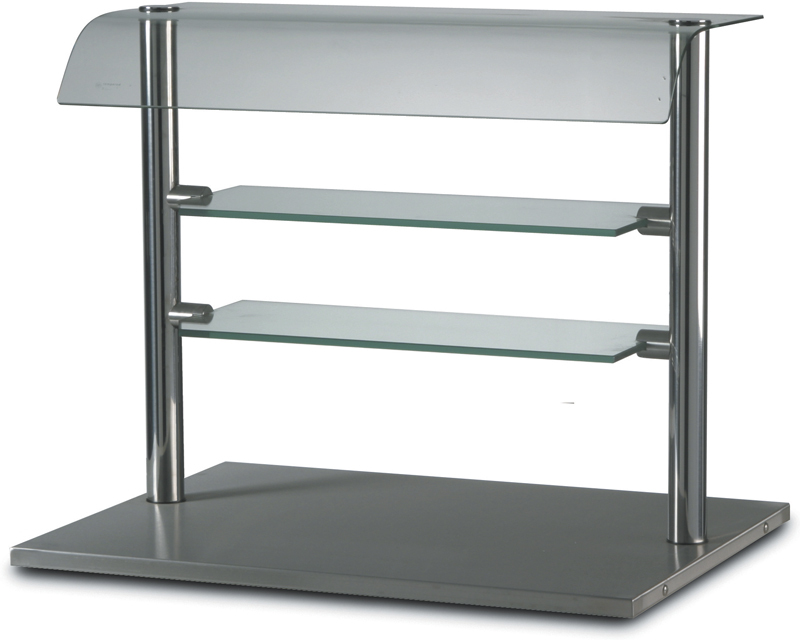 Comprising curved glass screen and rwo fixed 10mm thick ambient glass shelves.